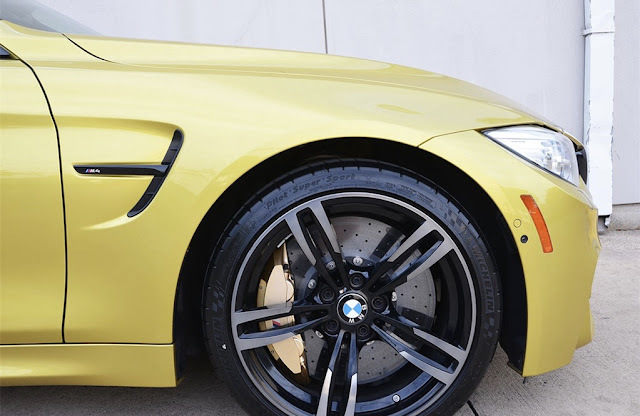 BMW offers some nice-looking wheels for the M cars. The set of wheels on the M4 I purchased is not one of those sets. Not that I would not be swapping out OEM wheels for aftermarket wheels regardless of what came on it from the factory, but I knew, as soon as I saw this car, that footwork would be priority #1 with this project. 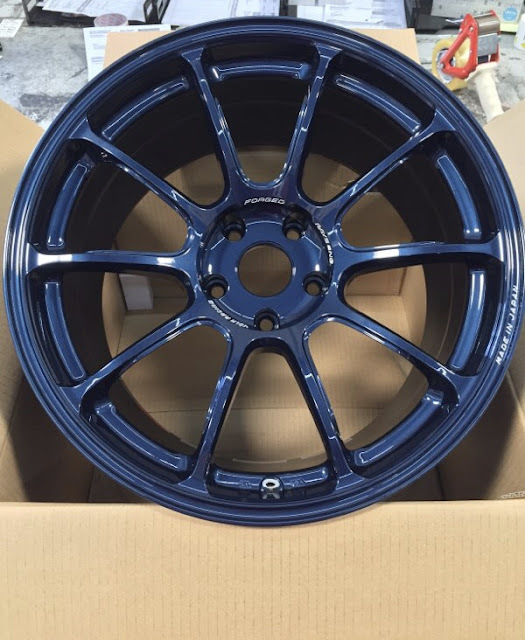 I looked around quite a bit before deciding on wheels. I did not have one wheel that had that "Have to have!" feel for me in regards to this project. I was open to multiple different possibilities. 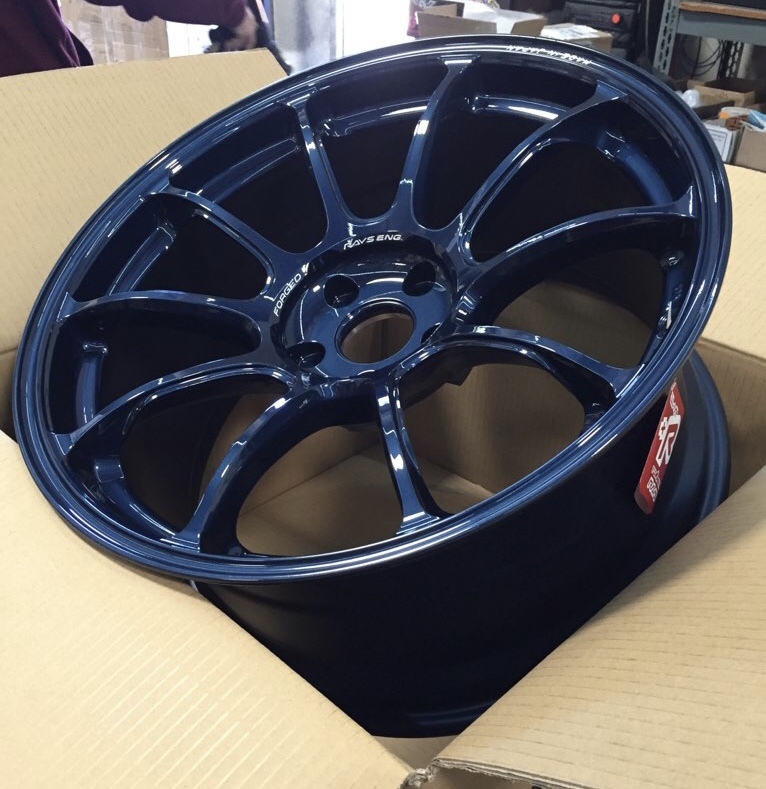 Advan, BBS, Volk, Enkei, SSR, and WORK were all wheels that I looked into before making my decision. 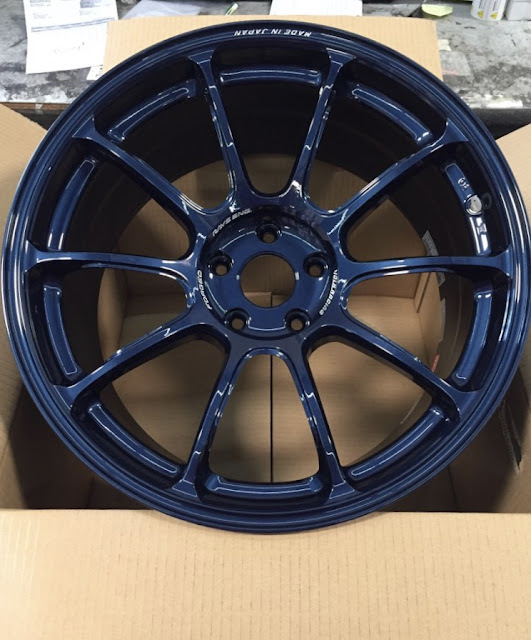 I reached out to multiple sources for wheels and I was told many of the styles in my specs are out of stock in the US and the wait would be anywhere between 3 to 6 months. Yuck. Then I reached out to a source from whom I have never purchased anything: Vivid Racing. The customer service was great. I had a response to my email inquiry within minutes. My questions were answered promptly and I was sent pictures upon request. Not only that, they had two sets of wheels IN STOCK with M4 fitment in the exact specifications for which I was looking! 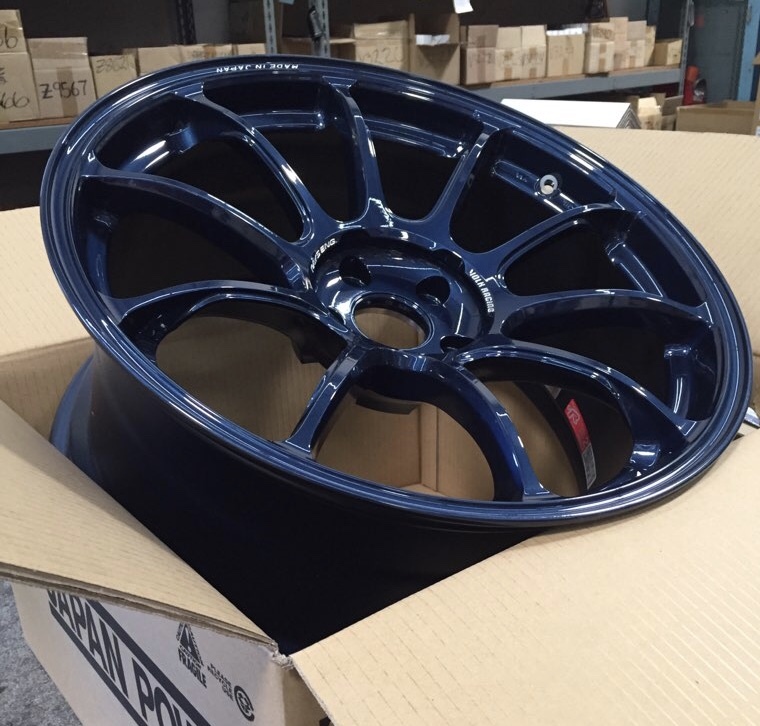 I decided on a set of 19" Volk ZE40 wheels in Magnesium Blue. Mag Blue has been one of my favorite finishes from the time I first saw it probably 15 years ago. 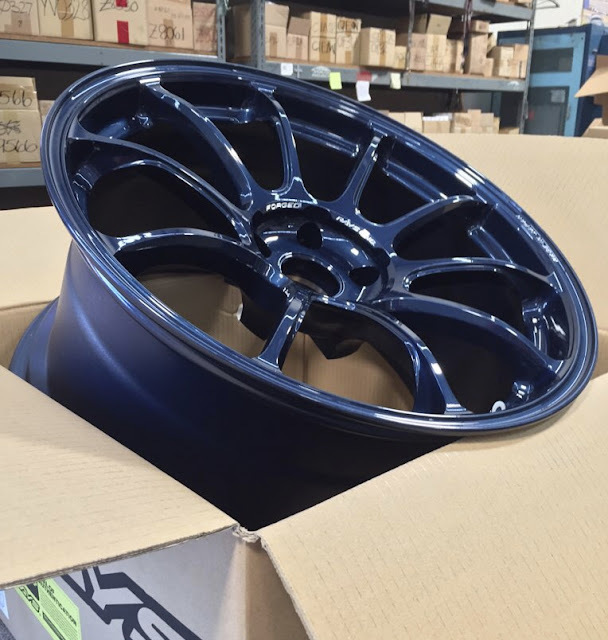 (I owned a set of Mag Blue CE28's years ago, but I ended up selling them before I ever had them mounted.) 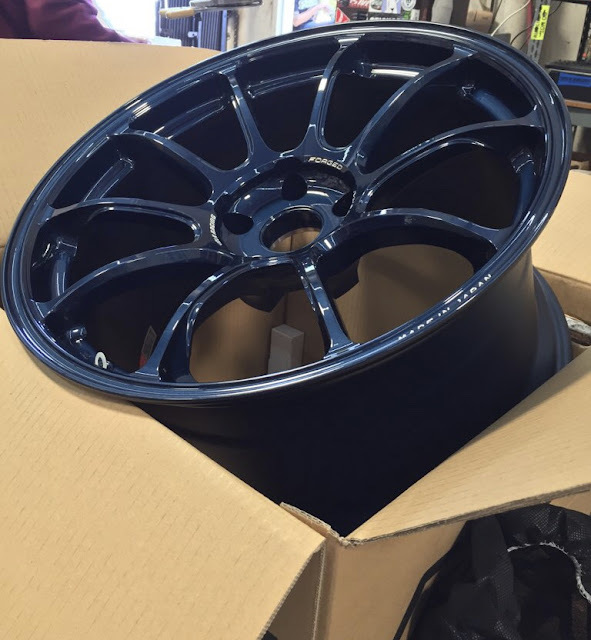 I am really looking forward to seeing how these wheels look against the Austin Yellow of the M4. Enjoy the pictures. Oh, and I received these pictures from the dealership yesterday. The car is currently en route! It has been quite some time since I have posted anything worthwhile here on JDMphasis. I have been busy and preoccupied and whatnot, but I do hope to start blogging a bit more regularly in the future. I am not making any promises, but I actually do miss it. That said, I, admittedly, feel a bit out of the loop on much that occurs nowadays in the Japanese parts industry. Additionally, forums are no longer the resource and community they once were. Social media has taken over. I have mixed feelings about this... But before I digress too much and go too far off-topic, this is a rant for another post. Anyway... I believe now is as good a time as any to post about my new project. I have moved on from the Jeep Grand Cherokee SRT (WK2). Now that I am writing about it, I do not believe I ever blogged about this project. A few weeks ago, I sold it to a very nice gentleman who made the trip to Boston from Pennsylvania. I loved that truck. Somewhat surprising, but yes - I loved it. For an SUV, it was a joy to drive. The power of the 6.4L V8, the mean exhaust note (enhanced by a Kooks cat-back), and the comfort of the interior are all things that I know I will miss. However, I also missed the handling of a sports car. Though my Jeep had an aggressive stance (assisted by some Swift Sport springs), I missed sitting lower to the ground. 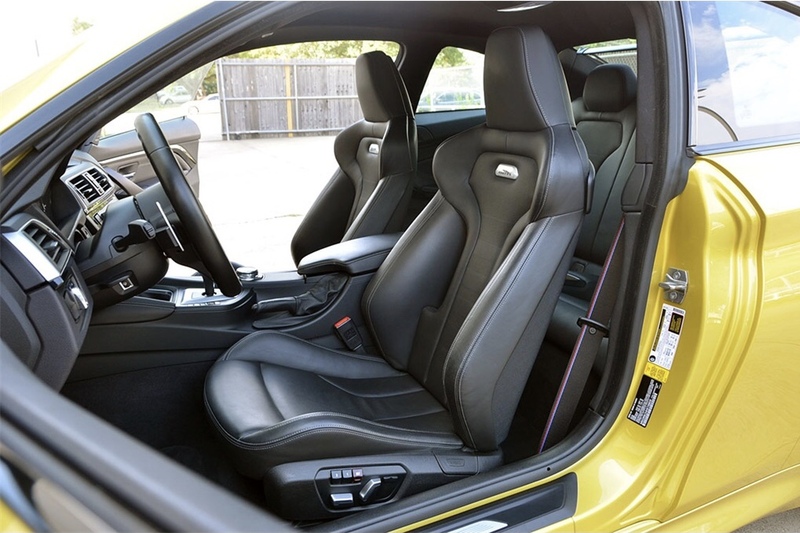 I missed the tighter interior of a car. Meet my new project. 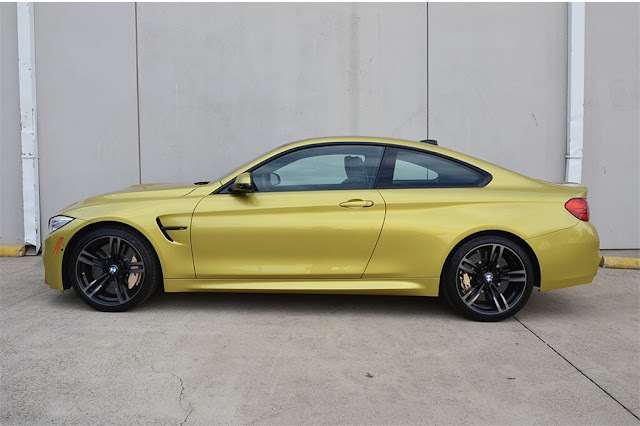 2017 BMW M4. I have not taken delivery of the vehicle yet, as it is coming from a dealership in Texas. Everything was finalized towards the end of last week. I am in the process of arranging transport now. I researched for quite some time before I decided on this car. 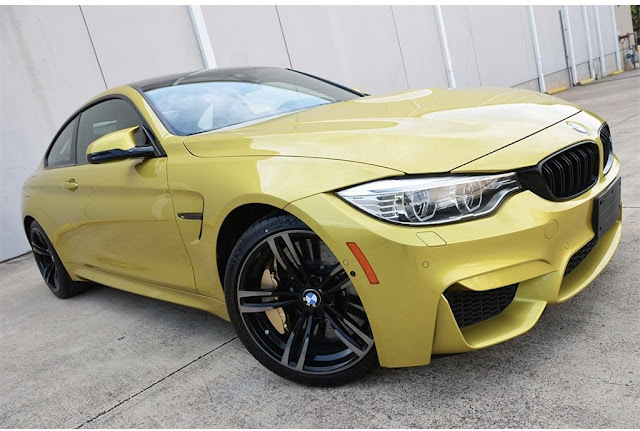 I had actually placed a deposit on two different cars before pulling the trigger on this one. 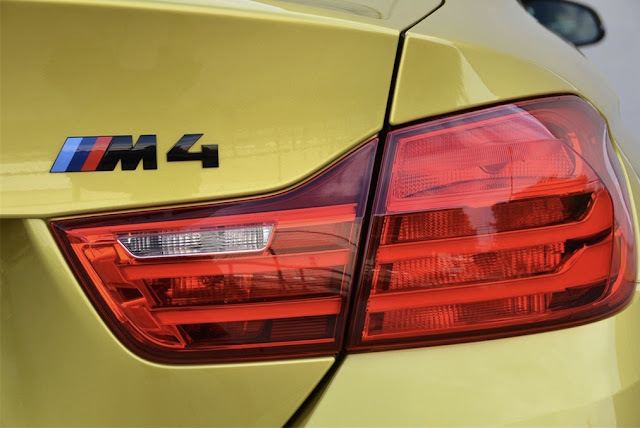 I looked at a few different vehicle models and ultimately decided the M4 is what I wanted in terms of looks, performance, aftermarket support, and, of course, budget. No, it is not Japanese. No, to the dismay of some BMW fanatics, it does not have 8 cylinders. However, it is still rather impressive and I am pretty stoked. 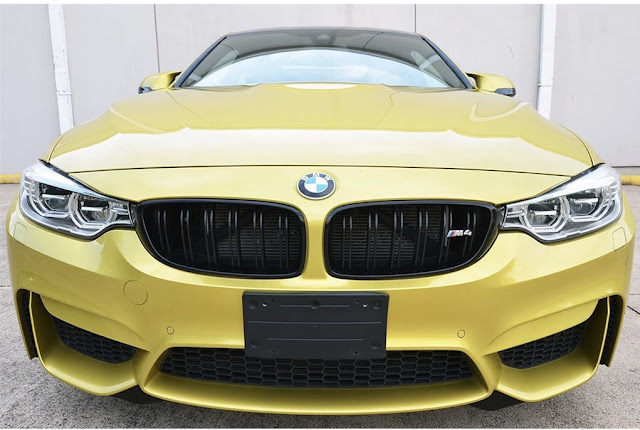 Among the few demands I had, I knew I wanted the Competition Package from BMW. The Competition Package adds a bit more power (425HP up to 444HP), beefed up suspension, and a few minor styling changes. The carbon ceramic brakes were not on the "Must Have" list. They are just an added bonus, I suppose. (Or are they?) 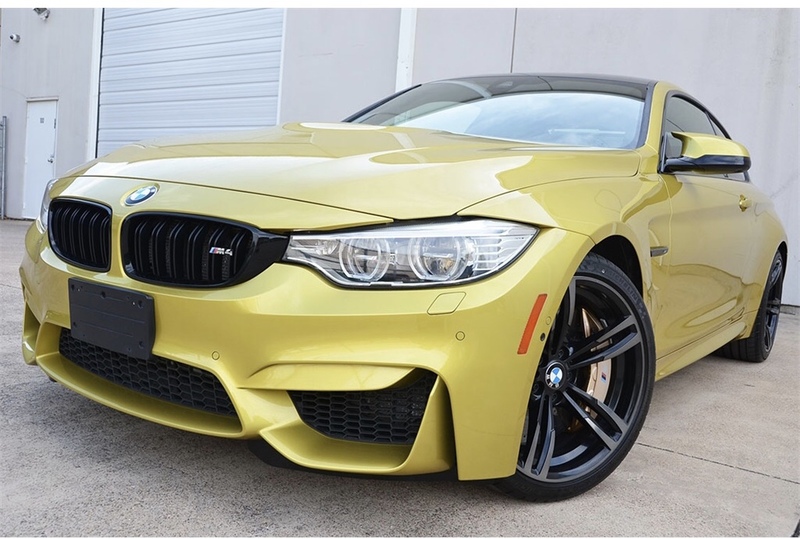 Other than that, I knew I wanted either this color (Austin Yellow) or the pasty blue color offered for the M (Yas Marina Blue). 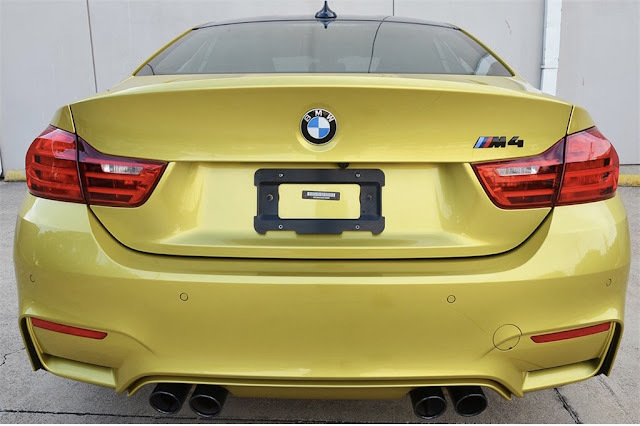 Finding these colors on an M car that had the Competition Package and relatively low miles was not as easy as one might think. But I was able to track down a clean one! Without divulging too much, I have some plans for this car. I have been combing the web tirelessly for weeks formulating ideas of what I would like to do. Needless to say, there will most definitely be some Japanese influence.